The world is full of stories about heartbroken women, and almost no mentions about heartbroken men. On dating sites, Russian and Ukrainian brides use their stories about broken heart to charm men, but men rarely talk about the heartbreaks. Sometimes, you ask yourself “Do men get heartbroken or only women do have that corner on the market?”. But there are heartbroken men, and you do come across them from time to time. 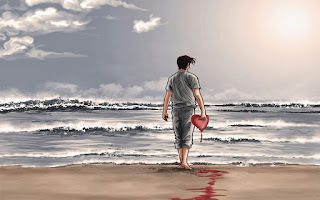 The signs of a heartbroken man don’t necessarily include him constantly talking about the girl who has broken his heart. What you can be sure of us that it’s difficult to date a man when he is heartbroken. 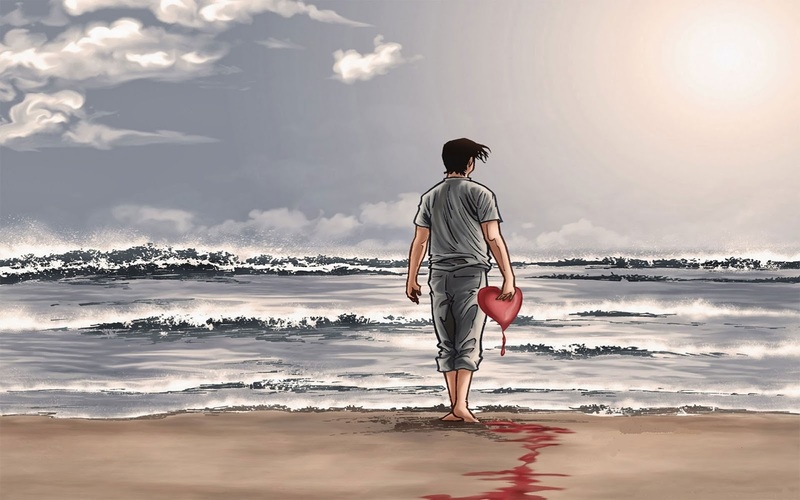 Our past experiences influence our life, and such painful things as heartbreaks scar us forever. You understand that it is extremely easy to destroy your relationship with a brokenhearted man. You may get tired from his panic that you may leave him. You may get tired of living in the shadow of his ex. That’s why you need certain tips in order to succeed in dating a heartbroken man and possibly cure his heart. This is the very first thing you need to remember when you feel that you are falling for a brokenhearted man. You need to understand that all the problems that may occur in your relationship are caused by him. He has problems, not you. He is the one who cannot overcome his own past. If you don’t realize that, you may start suffering from blaming yourself for your problems. Aside from suffering on your own, you won’t help him and your romance would face the inevitable - the breakup. When you feel that you are falling for the brokenhearted man, there is no need to break it to him. You need to go slow, otherwise, you can simply scare him away. It doesn’t mean that he doesn’t like you, but he may be afraid of the fact that he hasn’t overcome his past and would spoil your possible romance. Aside from that, he may take your confession as “It’s time to shrug your ex from your life”. While that’s what he may need, he may not be ready to let her past go. So, the best thing that you can do is just wait until he makes the first step. The saddest thing that you need to realize when dating a brokenhearted man is that you care for him more than he cares for you. Your intentions to cure his heart is nothing more than your intentions. Moreover, even if you would help him to cure his heart it doesn’t mean that you are going to end up in a relationship with him. Thus, you need to understand whether you want to save him or to have been in a relationship with him. You know what they say - no good deeds go unpunished. So, get ready for that. Breaking Up for Zero Reason! Another thing you should get ready for is that the breakup may be initiated without a single reason. Well, it’s a sign that he hasn’t overcome his past, or because he thought that he loved you only because you gave him the possibility to cure his heart. Now your mission is done and he doesn’t need you anymore. Or he may not want to take things further as he likes you and doesn’t want to have some history repeating. Regardless, you must be ready for that too. The best thing you can do when it comes to dating a brokenhearted man is to live the moment. The words “future” and “commitment” are quite big for him now, so you should just delete them from your vocabulary, if you have any serious plans on him. Just enjoy what you have right now, and you would have more pleasant than unpleasant memories of this experience if something goes wrong.